The Brazilian government is busy trying to stimulate the modernization of and competition among the ports, the stated goals of Provisional Measure 595, approved by a final vote in Congress on May 16. Brazilian ports are among the best in the world at processing iron ore but occupy 35th place in the handling of containers, according to a study executed by FIRJAN and reproduced in the May 19 edition of O Globo. To stimulate competition, however, it will be necesary to multiply access routes to various terminals, the Estado de S. Paulo warned in an article published the same day. The contrast between coverage by the Folha and O Globo is striking: the Folha refers insistently to the current “chaos” as O Globo looks forward to an advance in the rankings, as follows. Brazilian ports are experiencing a paradox. In port terminals for the export of iron, Brazil leads the world rankings in first, second and fifth place. Among ports that handle containers, it falls to 35th place, bringing up the rear in a study released by FIRJAN, the Rio de Janeiro industrial federation. Investments in increased capacity, modernization of equipment and improvements in electronic cargo handling could elevate Brazil to 17th place within three years. This leap, according to experts, could be favored by the MP dos Portos, approved last week in Congress. “The lack of alternative routes ends up overloading the southern and southeastern coastal ports, while other ports are practically idle. In the area of grains, nearly two-thirds of production for export leaves the country through Santos (SP) and Paranaguá (PR). The rest is divided among 16 terminals scattered along the coast,” the article said. With these articles, the two newspapers enriched the reader’s understanding one of the hottest and complex issues of the week, the vote on the Provisional Measure of the Ports. The major news organizations made a mighty effort over the course of that week to follow the voting in the two houses of Congress. Moreover, they took the trouble to explain the issue in detail and demonstrate to readers how important it was. There were long, hard negotiations in the lower house. The government had failed to mobilize its congressional base of support. For this reason, a last-minute push was needed to obtain votes for the measure without agreeing to disastrous amendments. MP 595 was to lose its validity at midnight on May 16. An MP is a bill sent down by the executive to be voted by the Congress, with a time constraint. The mechanism is often criticized as an incursion of executive power into the powers of Congress. With some of its main allies working against the bill, the government had to make concessions and promise resources for projects financed by budget amendments. According to journalistic accounts, the Treasury is to release R$ 1 billion, and more political appointments are to be made. Debates in Câmara went on well into the night and the decisive session lasted 22 hours. Lawmakers were photographed sleeping on the floor of Congress, but sleep is a luxury reporters do not enjoy. Observing this marathon was only part of the mission. Day by day it was necessary to explain the principal changes proposed, their consequences, and the probable reaction of the government. It may be argued whether the effort was consistently successful, but the performance of the media was undeniable. It would be very difficult to obtain, in these conditions, a better result. On May 17, the major dailies were still fixated on final approval of the bill, obtained quickly and with surprising facility by the Senate. The effort to translate the details of the text for the lay reader and to indicate the likely presidential vetos continued on Saturday. On Sundary, the newspapers made space on the front page again for the topic. “Brazil may advance in global ranking,” informed O Globo, with a jump head for an article on the classification and future of the ports. 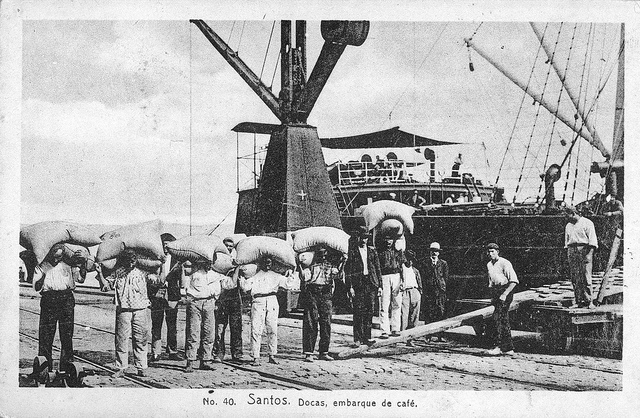 “New ports will require new roads and railroads,”, was the top headline of the Estadão. In a more discrete reference to the story, at the foot of the front page, the Folha de S. Paulo registered the statement: “‘I am not an evil genius’, said Eduardo Cunha, an opponent of the MP dos Portos”. Cunha leads the PMDB in the lower house of congress, the part of vice-president Michel Temer and the government’s most powerful ally. Its resistance was the principal obstacle to the approval of the measure. Given the prospect that certain articles may be vetoed, there is much new material that will have to be explored and explained in subsequent editions. To date, the MP dos Portos is the most complete and best-organized governmental initiative to increase efficiency and competitiveness of the Brazilian economy. But it is merely one part of a much broader agenda, as exemplified by the Estado’s story on the condition of access roads connecting to the terminals.